Boca Raton — July 10, 2015 — CERTIFIED, Inc. (madeinusa.net), the nation’s leading independent, non-governmental organization (NGO) certification company for Country of Origin claims, reported today that BEAUMONT PRODUCTS and their CITRUS MAGIC® Solid Air Freshener has earned a Made in USA CERTIFIED® Seal for its Baby Calming Lavender and Lavender Escape freshener lines, qualifying for this distinction after a detailed supply chain audit that documents all components and processes. The certification process discovered that 100% of all the content within CITRUS MAGIC originates from here in the United States, as well as all manufacturing, processing and distribution so as to earn the 100% Content Made in USA CERTIFIED® Seal. 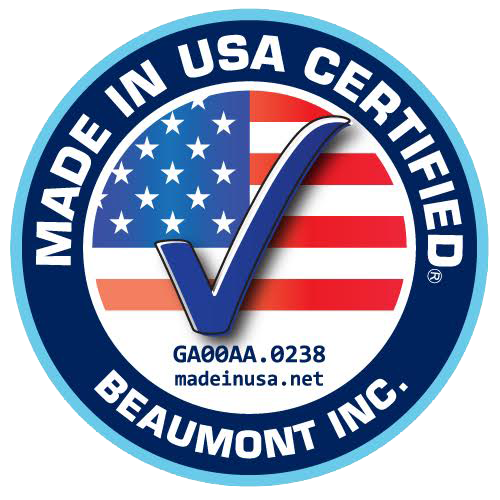 Founded in 1991 and located in Kennesaw, Georgia, Beaumont Products (www.beaumontproducts.com) is a leading manufacturer of premium, eco-friendly consumer products designed for air care, general cleaning and personal care.